We serve the entire Alpharetta area including Milton, Roswell, Johns Creek, Mountain Park, Atlanta Metro. 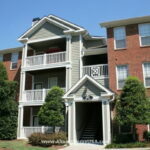 Staying in Alpharetta corporate housing virtually guarantees you a wonderful experience. First, the people are very welcoming to visitors and extend all the courtesy that typifies the South. They are also one of the most diverse populations in the country. So, given their diversity and bonhomie, you will have many opportunities to make many new southern friends. Living standards here are pretty high as well, so you will find things to be clean and well maintained. Certainly staying in an Almost Home corporate apartment in Alpharetta will exceed any expectations that may have been set by the local environment! Alpharetta is a northern suburb of Atlanta. It is an affluent neighborhood with unemployment rates very low. There are numerous companies that are headquartered here ranging from IBM to Verizon, Sun Microsystems, Nortel and Nokia. The total population here is cozy, not exceeding 60,000. As far as colleges, there are two satellites located in Alpharetta, one for Georgia State University and the other for Reinhardt University. Even though you are in the south, the weather here is actually pretty mild. It slides up to about 88°F in the heat of summer, then tapers off gradually to highs in the low 60s by Thanksgiving. In December, the lows are at about 32°F and move lower to the high 20s in January. The temps begin climbing back up in February. Dress light in the day and carry a jacket at night for most months. The Turner McDonald Pkwy, which is US 19, divides the city almost into equal halves. Lake Windward is in the east and downtown Alpharetta is in the west. There is not much of a grid system in terms of roads here, and instead the roads roll from one to the next in a very easy way. Alpharetta is a convenient and logical location for those working in Atlanta, especially those working north of Atlanta. The same goes for those visiting Atlanta for mid to short term stays. They may want to locate themselves in temporary housing in Alpharetta. Smokejack on South Main St.: Both the food and music here are something to write home about. But between the two, it is the food that takes center stage. There is nothing on the menu that is derived from processed foods. Everything here is fresh and prepared with the ingenuity of some of the country's finest chefs. Imagine Fried Pickles, or Fried Green Tomatoes, Mojo Smoke Wings and Blackened Catfish Tacos. That's just a sample of their appetizers. Look inside the smoker and you will find Pulled Pork Shoulder, Smoke Roasted Chicken, Beef Brisket and Pork Spare Ribs. Qdoba Mexican Grill on Windward Parkway: Things here are just not what you would imagine. Savoring food in Georgia is an experience on its own. Add to that the zesty flavors of Mexico and what you find at Qdoba are tantalizing flavors mixed with the charm of the south and the ingenuity of presentation and flavor that is only American. That's what this restaurant is all about. So while you're staying in your furnished housing in Alpharetta take advantage of having some of this wholesome food. 5 Seasons Brewing on Old Milton Parkway: Great beer, great food, awesome experience. There is nothing more enjoyable and satisfying than putting together great beer with great food. Add to that award winning service and what you have is a blast of a time. The beer menu is new everyday while keeping some of the regular favorites. It’s great to have different flavors as you relish this delicious menu. Check out the Kilt Lifter Scotch Ale or the Cartoon Brune. The Belgian Wit is also a long standing local favorite. As for food, a simple Fish N' Chips will go a long way with a pint. Mama's Pizza Alpharetta on Northpoint Pkwy: This is undoubtedly the best pizza in Atlanta. But it doesn't stop at pizzas. The Calzones and Strombolis here are simply divine. You'll think you were in Italy. It must be something about the fresh Ricotta and Mozzarella they use. The pizzas themselves are great. The crust is superbly textured, the sauces are pure genius and the toppings are fresh. The herbs and spices are generous and the service is homey. When you are away from home in your Alpharetta corporate housing, this is the kind of place that will make you feel great. Try the Sicilian and you will be back for more. P.F Chang's on N Point Pkwy. : There are a few of these bistros in the south and over 200, worldwide, and all of them always live up to the mark. The food here is as delicious as it is generous. The cocktails are imaginative and the flavor is authentic with a twist of Americana. The bar is well stocked so turn your sights to the cocktails as they are something that you will not find elsewhere. The favorites here form a pretty long list, but it's safe to start with Dynamite Shrimp and work your way through the Tuna Tataki or the Northern Style Spare Ribs and get into the Orange Peel Beef. As for seafood, the Oolong Chilean Sea Bass is out of this world. Don’t let your stay in Alpharetta GA slip by without enjoying some of the great things to do in the area. Golf: The one thing most people tend to be thankful for down south is the weather. It’s always warm and it’s almost always sunny & bright. Playing golf is a good way to work out and enjoy nature. There are a few places you can do that here. Get to know the Trophy Club of Atlanta, located on Hopewell Rd. There is also the Manor Golf and Country Club on Manor Club Dr. and Echelon Golf Club on Founders Dr. E. All these places are just a little outside Alpharetta and are easily accessible. Parks and Recreation: A good way to take advantage of everything a town has to offer, and most of the time it’s free, is to get over to the closest park or recreation center. In Alpharetta, there are a few places you can visit. Wills Park is on Wills Rd and even has an equestrian center and playgrounds. Then there is Newtown Park on Old Alabama Rd and Web Ridge Park on Web Ridge Rd. Here there are some baseball fields and picnic pavilions. Malls: There are just a few malls here and they are more than adequate. If by chance they do not have what you need, just remember Atlanta is a stone's throw south of Alpharetta. But you should be able to get whatever you need at the North Point Mall on North Point Circle. There's Sears, JCPenney, Macy's and everything from American Eagle Outfitters to Brookstone, to Gap, to Yankee Candle. There are also a number of places where you can get a bite or just stop for coffee. Autry Mills Nature Preserve: This nature preserve is spread across 46 acres of forest and contains a link to the history of Alpharetta and the Atlanta area. Walking along the paths carved through the park you will find trees and creeks as well as scenic plains and an abundance of animal life. Inside the park you will also find replicas of old homes and dwellings designed according to old Native American styles. The history here stretches back at least 200 years and it is like walk back in time. Some of the best ways to spend your time in this wonderful town are to eat, stroll through nature parks, read and make loads of friends visiting all the great eateries. You don’t want to just hang out at your Alpharetta furnished apartment. The food here is that good, because it offers a taste that is pretty unique due to its southern heritage and northern influence. Just a few miles down and Atlanta offers a different twist on the dining experience.